It has been a great win on the 22nd Rally Alpi Orientali, thanks to a fantastic Chiavenuto Team job and a superb Comas co-driven by the perfect Yannick Roche. Dreaming that a 1974 Lancia Stratos could defeat a 1983 Lancia 037 and a 1989 Lancia Delta seems utopic, the reason why there are four different periods in historic rally. However the miracle happened last weekend and the rally world keeps talking about it. The Alpi Orientali rally is well known to be the most challenging rally of the season with the strongest Italian and European drivers from both series. It was first Bossalini on a SCRS Group B Porsche to start very fast, winning the first 3 special stages, then the turn of the second group B, the Lancia 037 of Bianchini and finally the turn of Lucky winning the final super stage thanks the better traction of his powerful Lancia Delta 4WD 16V group A. The Ex F1 driver was consistent and closing the first day third overall, 17 seconds from the lead. But the Frenchman had a much more aggressive strategy on day two, squeezing the best from the soft Pirelli P7 Corsa Classic and scoring the fastest time on the first 3 stages, then leading by 30 seconds. 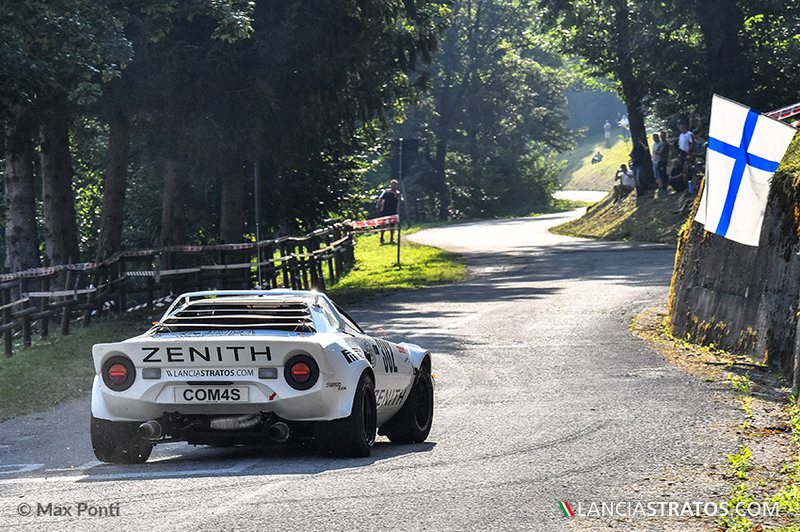 Indeed the special stages were more technical, in downhill and on the shadow, more suitable to the Lancia Stratos, less powerful but lighter. The Zenith El Primero Stratos Team knew that it was the key moment of the race. Comas/Roche marvellously managed the gap and the tyres to the end concluding with an overall win and obviously the category 2 (1971-1976) win, very important to increase their leadership. With five different special stages winners thanks to Da Zanche and his Porsche 911 RSR on SS 10, the competition has been even stronger than expectations. This was the first 2017 FIA rally occurring on full dry tarmac and high heat, putting the crews in difficulty but also the four wheel drive largely advantaged on previous rallies. 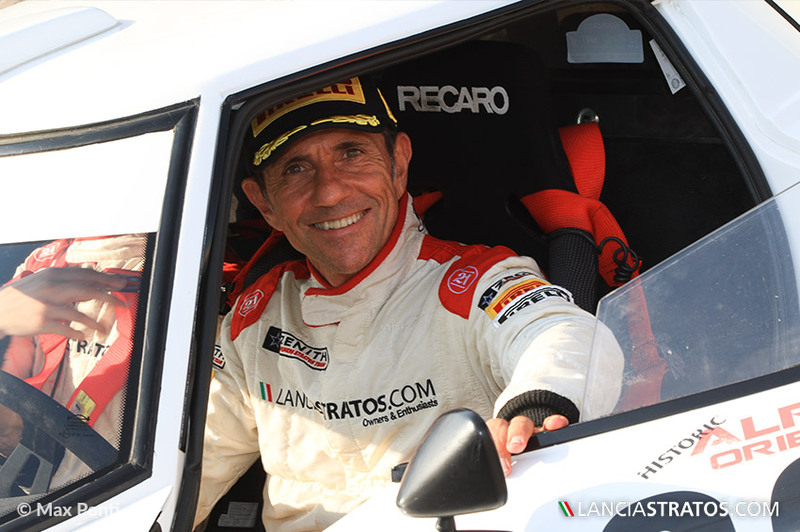 Erik Comas was very grateful on the podium to Andrea Chiavenuto, the new Italian Stratos guru who has done a fantastic car preparation, allowing him to drive the Italian beauty to the limit. 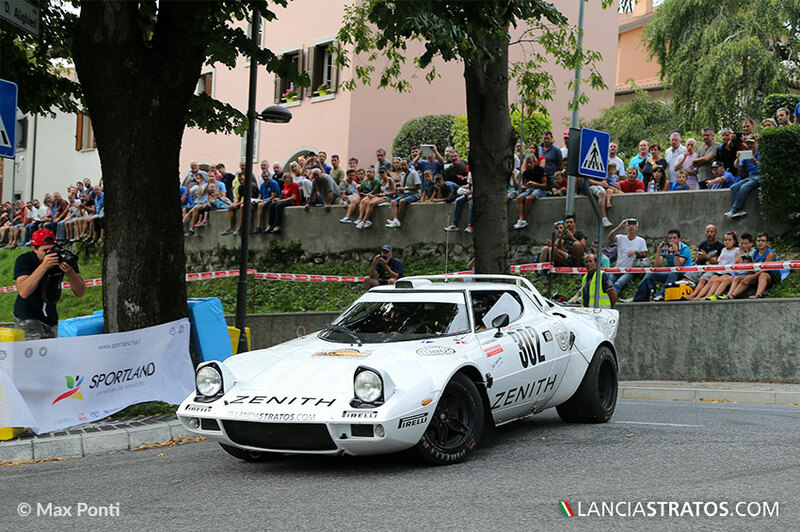 This victory occurs exactly 40 years after the Tony Carello’ win in 1977 on the Rally Alpi Orientali, also on Lancia Stratos!